Posted 15 September 2018 by ailsadunn & filed under Uncategorized. 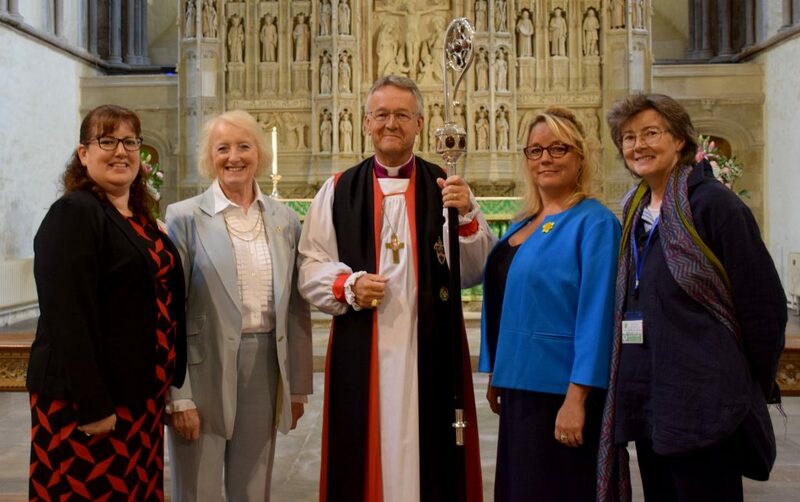 It was the Mission Festival in Brecon Cathedral this afternoon September 15th 2018, when the Bishop’s Lent Appeal cheques were presented to this year’s chosen charities. It was lovely to hear him speak of his personal experience of meeting some of the participants in our ‘project get together’ weekend and how impressed he had been by the energy levels! It was certainly good news to HBTSR as we received a generous cheque and were able to tell people a little about what we do as well as showing off our revamped display boards. 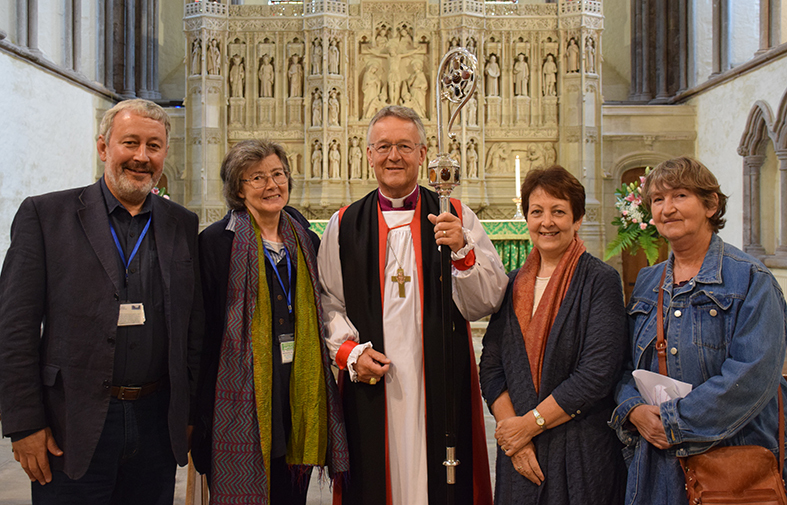 We explained to the congregation that HBTSR is a group of volunteers co-ordinating a local response to the refugee crisis, providing both a welcome and welcome support for people seeking sanctuary . We described a little about our short-term respite days and breaks in the peaceful countryside in and around the Brecon Beacons National Park.We were able to mention our petitioning, collection of items and money to send to refugee camps and to locals in need and our general awareness raising activites . We explained that the money given to us would allow us to continue to run our programme of days out, to help other groups working with people seeking sanctuary and to help people in particular hardship. That we would continue to strive to help people seeking asylum or refuge who are sent to live in south Wales to feel wanted and cared for and above all welcome. If anyone is in Brecon this week our display boards are still in the Cathedral.